The installation is by Ali Pretty, founder and artistic director of Kinetika. 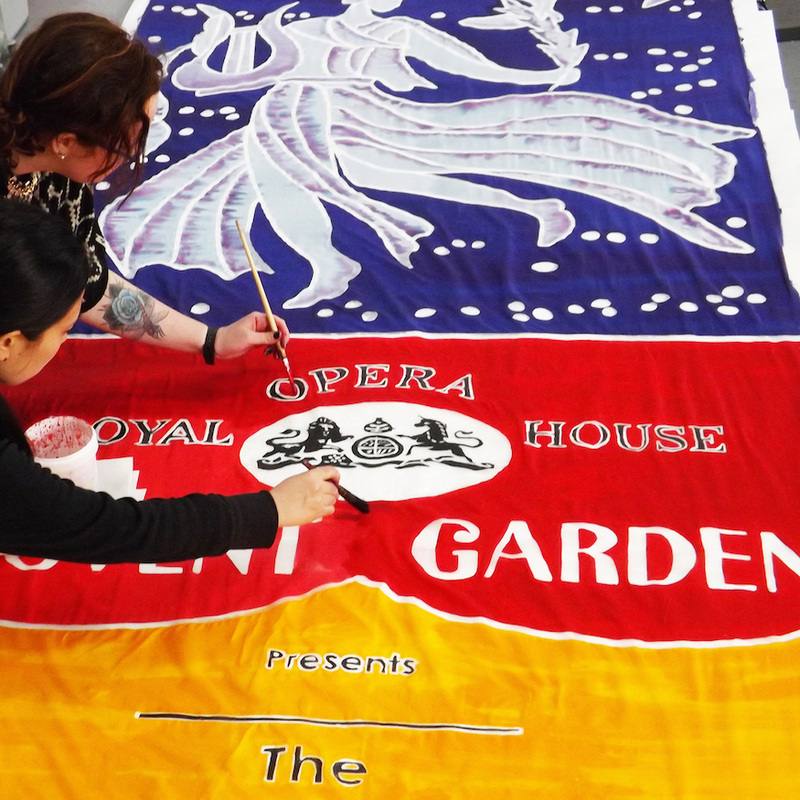 A new, hand-painted silk banner installation comes to the Royal Opera House next month. 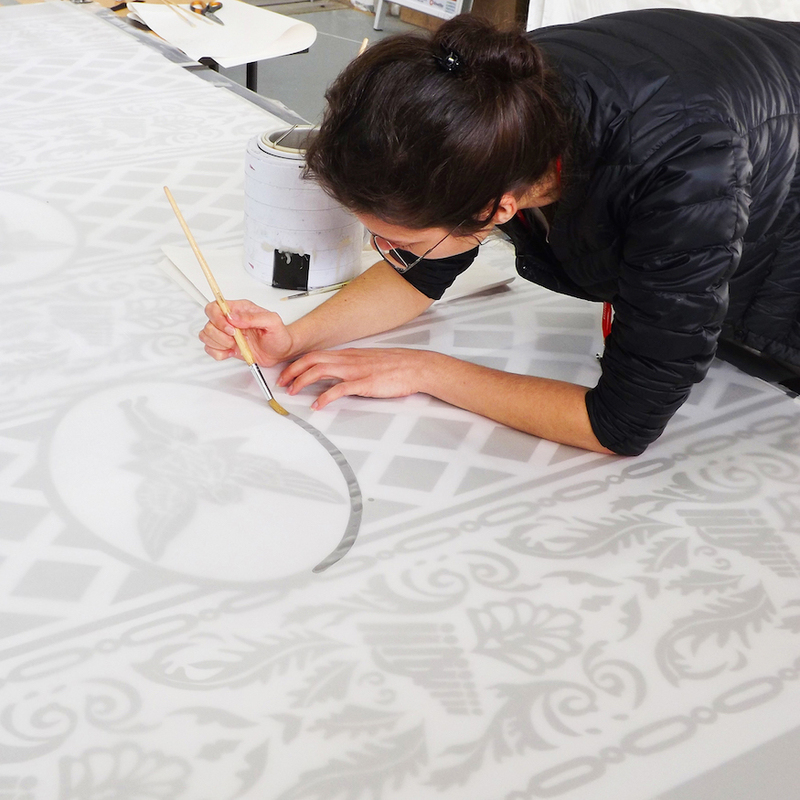 The 12 silk banners, each measuring 11 metres, form a visual history of the Royal Opera House and will be hung in the magnificent vaulted glass ceiling of the Paul Hamlyn Hall. It's a work of personal significance for Ali Pretty, artistic director of outdoor arts organisation Kinetika and the installation designer, whose mother danced for The Royal Ballet in the 1950s. As well as depicting the music, dance and singing that are synonymous with the Royal Opera House, there are panels illustrating the establishment of The Royal Opera and The Royal Ballet; and the redevelopment of the Royal Opera House in the late 1990s. 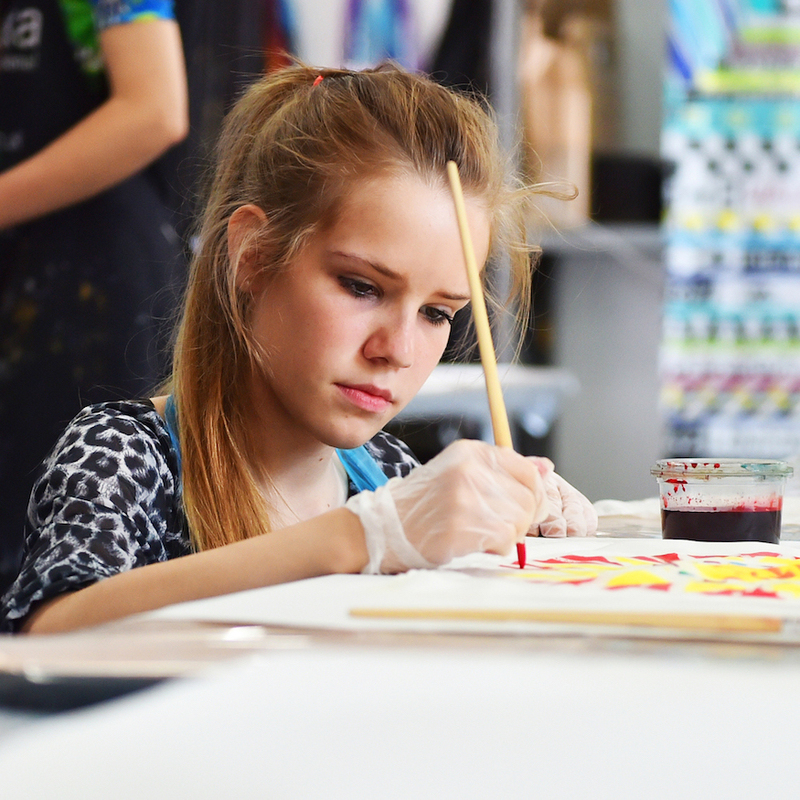 Another three panels focus on the Learning and Participation Department; the backstage technical teams who make the productions possible; and, of course, the audiences. 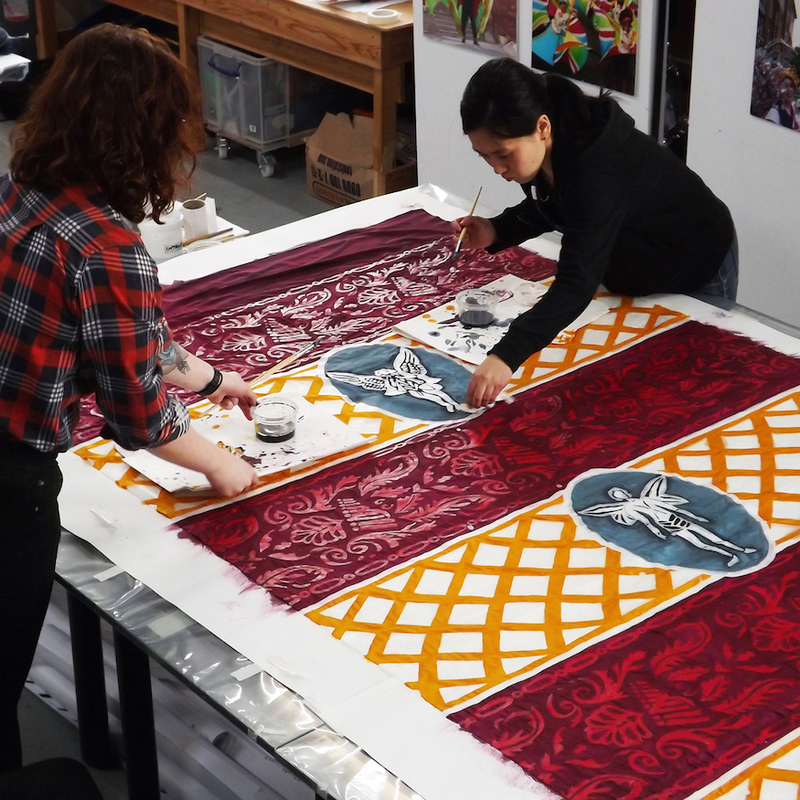 A team of local artists and volunteers took almost 750 hours to wax and paint the silks. 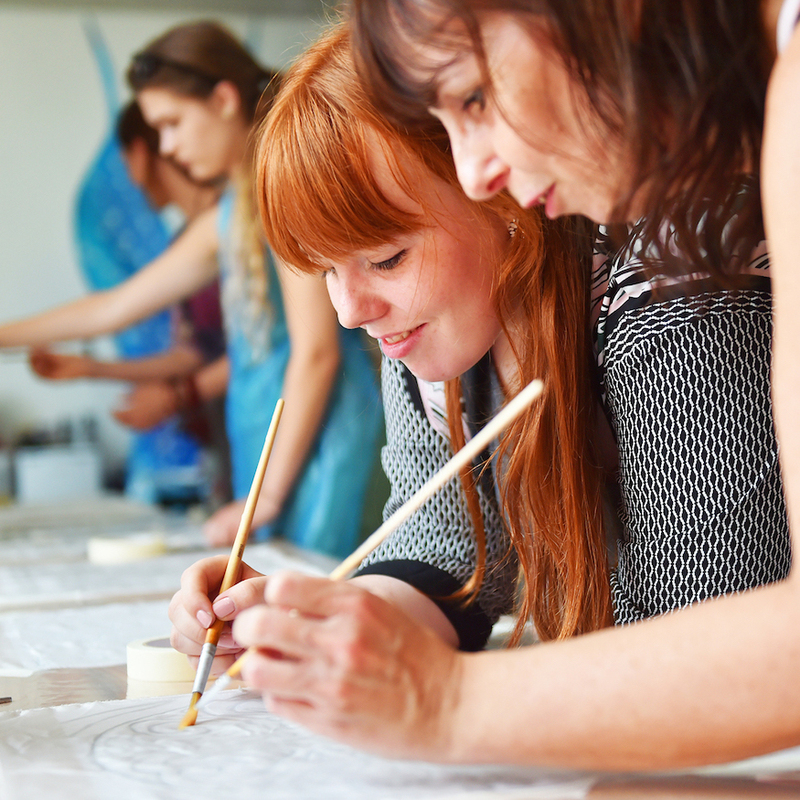 You too can experiment with the method behind the creation of the artwork, as the ROH is running free batik workshops on 5 September (11am–6pm) and 6 September (11am–4.30pm) for families. 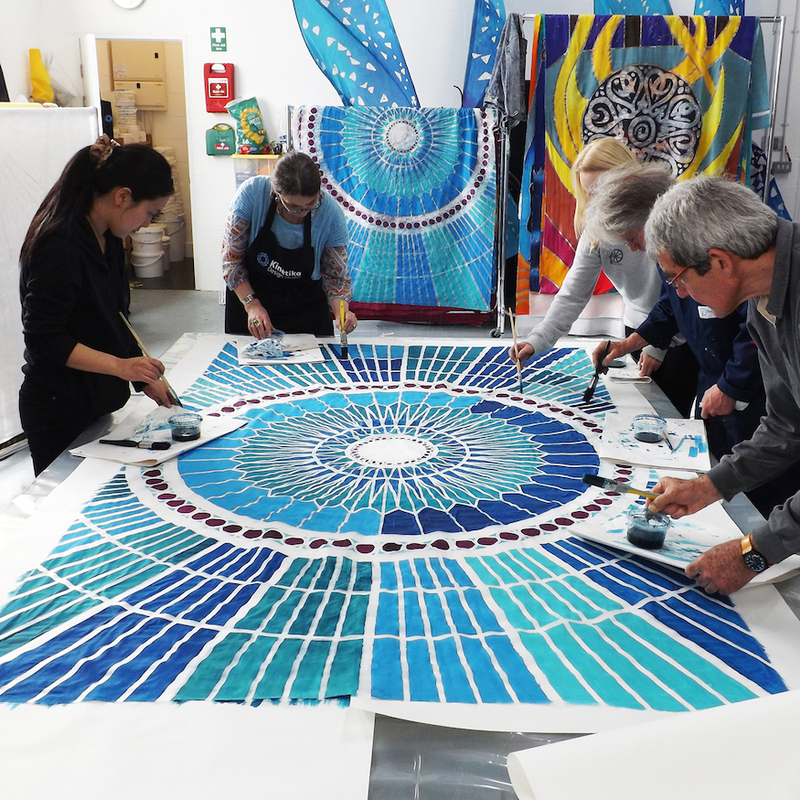 Below is a gallery of local artists and volunteers painting and waxing the banners.